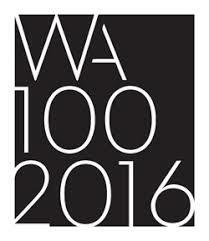 In an annual survey of the top 100 Architects in the World, the top 100 global architects have ranked RCP as second best project management partner for the annual supplement, World Architecture 100 (WA 100), produced by British-based Building Design magazine. The survey was conducted with 1,350 leading architectural practices worldwide, with RCP ranking No.2 in the world as preferred project management partner. RCP rated second only to Mace, an international consultancy and construction company which operates in 70 countries. RCP Managing Director, Jeremy Hay is proud that RCP’s business ethos, professionalism and successes have been recognised by professional peers on a global scale and looks forward to working with these visionary professionals to build an exciting future in New Zealand. In its 20th year, RCP is New Zealand’s leading independent project and programme management company with a proven track record of successfully delivering more than 1000 projects worth more than $5 Billion. We are proud to be have been and continue to be involved in some of New Zealand’s most prominent and award winning projects and thank the architectural firms and their Principals for their support. We look forward to working with them and their teams in the future.